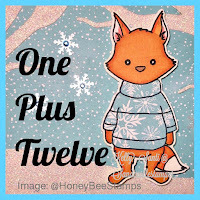 *Sandcastle Stamper* : One Plus Twelve ~ Foxy's February Adventures! And oh gosh - the joy! were inspired to start the challenge, too! and now 2 more ~ my heart is beaming with happy!! My crazy 1 + 12 stamp challenge idea is moving in creative ways! I'd invited two friends to join me in the journey - Barb and Jeanette. you know from the Ready, Set, Go and the 3M challenges. There's not much we aren't up for - LOL! If one's in, we're all in! Foxy is continuing his adventures and sending LOVE for February! He's from the Warm Wishes stamp set from Honey Bee Stamps. nothing cookie cutter and really branch out in my creativity! And - he's wearing a turtleneck sweater! in the set but MOSTLY for this one. and colored him with prismacolor markers. with the Sizzix Polka Dots embossing folder for texture. I made this card today ~ hence, getting this post up a little later. and crafting/cardmaking for me must. be. fun! 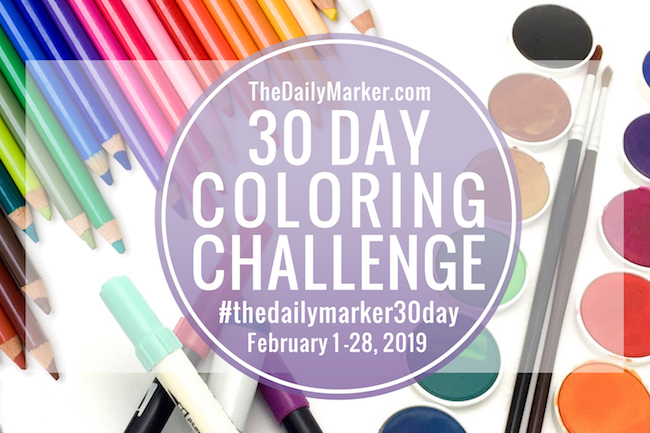 The Daily Marker Coloring Challenge! It can be a little - it can be a lot! and jovial Jeanette's card here! Entering this card into: Simon Says Stamps - Use some Red! Love your card my friend. Foxy is so dang cute as a valentine! Thanks for asking me to be a part of this fun challenge! Your foxy card is adorable! I love your Foxy stamp and your challenge sound great I love forward to seeing the next installment. Foxy is so adorable in his little Valentine sweater. That little heart!!! This is going to be fun, watching his closet contents change through the year! 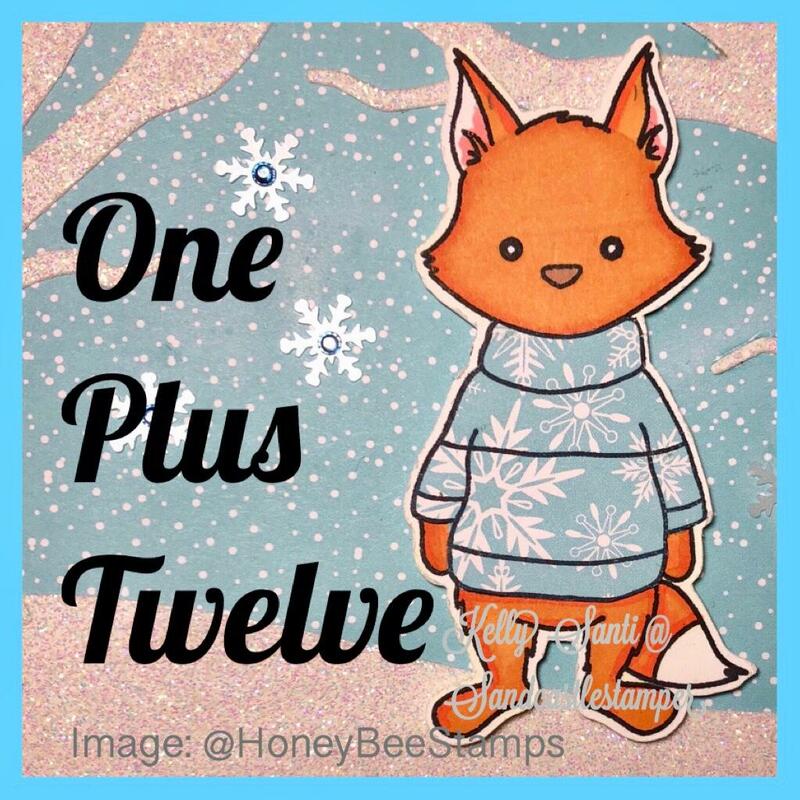 Kelly, I am not surprised that your One Plus Twelve concept is catching on... it's a GREAT one! You outdid yourself with this idea! And your card... #2. It is a LOVEly card - all decked out in red. I'm loving Foxy and can't wait to see the sweat pouring off of him in July in his turtleneck. LOL! Awe!! Foxy is just too cute with his hearts and I love the striped background! Wow! Amazing foxy and great design!! Love so much that cute critter and the striped heart! Wow, already February. I remember reading about the start of your challenge last month! Good job on your second little fox. And that is a great sentiment - one I also use with my girls. This little sweatered fox is adorbs, Kelly!! SWEET!!! Cute and funny. I like the stripped heart! Thank you for joining Simon Says Stamp Monday Challenge.